HADAG Fähre 62 is a ferry line operated by the public transport company of Hamburg, Germany. This picture was submitted by KW. He writes: "In Hamburg the public transit system is run by HVV, and includes ferry boats on the River Elbe [operated by HADAG, a subsidiary of HVV]. The line 62 ferries are the largest, and take half an hour to run along the river. 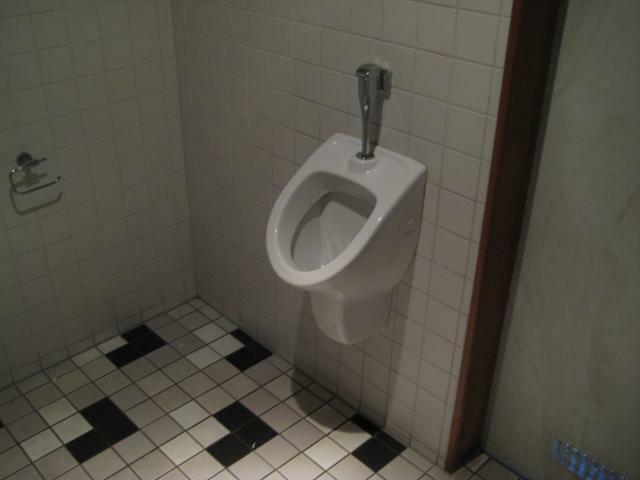 They are equipped with a unisex toilet that includes a urinal such as the one below."